We were really lucky to be able to pull together such a strong cast for Monsoon Tide. Click on a tab to view some of their biographies. Ben plays the leading man, Charles Messenger, with wonderful depth and insight in Monsoon Tide. He showed his great versatility by also working as an Assistant Director when the occasion demanded! 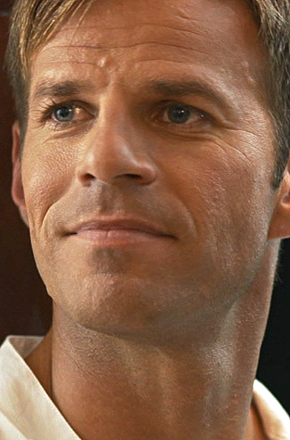 Ben is best known for his roles in Footballers' Wives and The Bill on television. 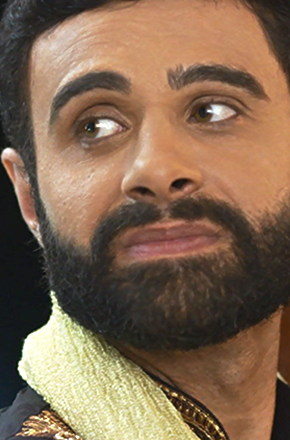 An accomplished singer and dancer, he also has many theatre credits which include playing the leading role of Tick in Priscilla, Queen of the Desert to great critical acclaim in London's West End. For more information on Ben Richards, visit his own website by clicking on the "Web Page" button below the image. Rebecca sparkles in the role of Kate Messenger in Monsoon Tide. As well as being a very talented actress, Rebecca is a wonderful singer and song-writer and has co-written the songs that she performs in the film. Rebecca is best known for her role of Daisha Anderson in the BBC's Holby City. 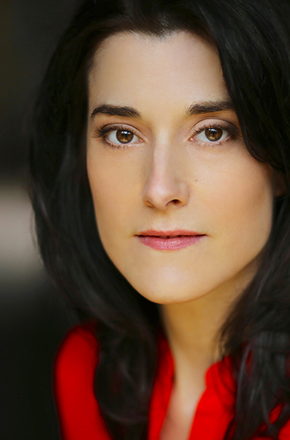 On stage Rebecca has performed in productions as diverse as Bollywood Dreams and One Flew over the Cuckoo's Nest. Rebecca also is a regular guest singer with the fabulous Jive Aces who also perform a number with her in Monsoon Tide. For more information on Rebecca Grant, visit her own website by clicking on the "Web Page" button below the image. Rez plays the role of Chief Inspector Raj Singh in Monsoon Tide, bringing a deliciously dark note to his wonderful performance. Rez's numerous film credits include Merchant Ivory's The Mystic Masseur and My Son of the Fanatic for BBC films as well as a whole host of Anglo/Asian movies. He has also has appeared on many television dramas including Spooks and has performed in numerous theatrical productions. For more information on Rez Kempton, visit his own website by clicking on the "Web Page" button below the image. Kasia plays the role of Anni Sinclair in Monsoon Tide. After attending the Central School of Speech and Drama, Kasia has worked primarily on stage, most recently with the Round House Theatre Company. Her most recent television experience is working with Gurinda Chadha, showcasing her great range by taking on a variety of roles in The Comedy Lab on Channel Four. The role of Anni in Monsoon Tide is Kasia's stunning debut in a leading role in a feature film. Kevin plays the role of Sy Messenger in Monsoon Tide. Kevin, a graduate of the Liverpool Institute of Performing Arts is an accomplished Shakespearian actor who has performed all over the UK playing leading roles like Romeo and Hamlet. Kevin brings great sensitivity to his debut feature film role. For more information on Kevin Kemp, visit his own website by clicking on the "Web Page" button below the image. Biyon is a well known Film Actor in India and in particular, Kerala. In Monsoon Tide he makes a guest appearance as Dr. Krishna. He is already a veteran of some 50 Indian feature films. His best known role was in ace film-maker K. Madhu’s suspense thriller, Banking Hours 10-4. He also features in Joe Eshwar’s film, Kunthapura which has just had its world premier. Clark plays the role of Oscar Sinclair in Monsoon Tide, bringing great comic timing as well as emotional depth to the performance. After gaining an honours degree in Acting, Clark has performed in various theatrical touring	productions including Pulse for the New End Theatre UK Tour. For more information on Clark Crewe, visit his own website by clicking on the "Web Page" button below the image. Victoria plays the role of Dell in Monsoon Tide, a long-time actor friend of Kate, but revealing important information about Kate to Charles. For more information on Victoria Ashford, visit her own website by clicking on the "Web Page" button below the image. The Jive Aces are the UK's top Jive & Swing band. Together for over a decade, this extremely popular six piece group have performed at thousands of festivals, theatres and events throughout the UK, Europe and USA, as well as Japan, Israel and the Caribbean - 30 countries in all. The Jive Aces are renowned for their high energy Jump Jive music (the exciting sound where Swing meets Rock ‘n Roll) and spectacular stage show. In Monsoon Tide, the fabulous Jive Aces perform a number with Rebecca Grant who is a regular guest singer with the band. 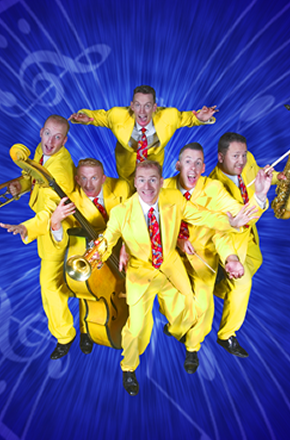 For more information on The Jive Aces, visit their own website by clicking on the "Web Page" button below the image.